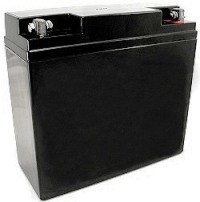 These powerful lead-acid AGM batteries were designed for use in motorcycles and other power-hungry applications like jet skies and snowmobiles. They do not contain liquid electrolyte so they are spill-proof and they can be used in any orientation. The MC-1250 is a 12V battery with a capacity of 5Ah. It weighs 3 pounds and measures 3.9" tall x 3.6" wide x 2.8" thick. Use two of these batteries in Light weight kits. The MC-545 is a 12V battery with a capacity of 12Ah. It weighs 10 pounds and measures 5.9" tall x 5.8" wide x 3.4" thick. Use two or four of these batteries in the Middle and Heavy weight robots. The MC-680 is a 12V battery with a capacity of 18Ah. It weighs 12.5 pounds and measures 6.6" tall x 7.1" wide x 3.0" thick. Use two of these batteries in Middle and Heavy weight kits with two motors. The MC-680 will not fit in kits with four motors. Use the MC-545 battery in kits with four motors. The 3.5 Amp Charger does not require a separate power supply. It plugs right into your wall outlet. It uses a state-of-the-art three-stage charging cycle. It starts with a high-current fast charge until the battery voltage reaches 29.6. Then it charges at a constant 29.6V until the current drops below 500mA. Then it switches to a trickle charge and holds the battery at 27.6V. The charger can remain connected for long-term storage keeping the battery in a state of full charge. This charger comes with a separate "XLR" charging port which you can mount directly on your robot for convenient plug-in charging. 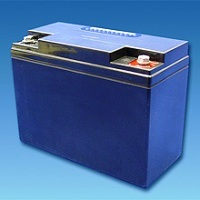 To get the most life out of your lead acid batteries recharge them after every use. Leaving them in a partially discharged state reduces their useful life. When a battery is in storage recharge it every 3 months in cold weather and every month if warm - or keep it on a continuous trickle charge.